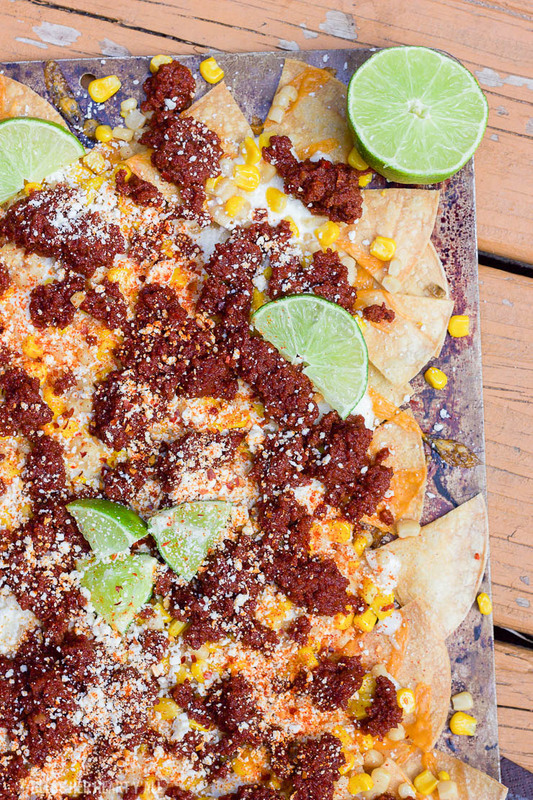 Put your big boy pants on for these spicy mexican street corn nachos with chorizo. 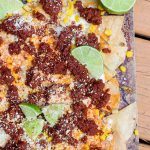 These cheat-day nachos bring out all the cheesy, spicy, lime flavors of mexican street corn with the hearty addition of spicy chorizo meat. 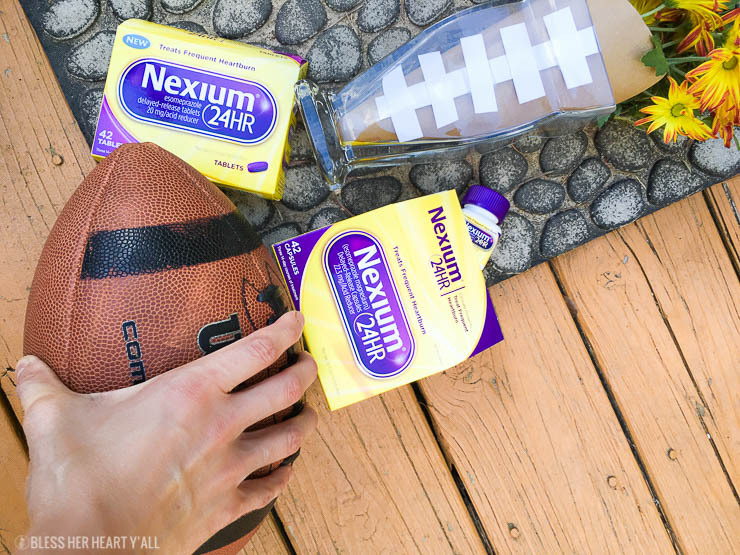 Perfect for this football-themed party with a DIY playbook table runner, a DIY football vase tutorial, and how to keep the heartburn away after all this partying with Nexium® 24HR! Who else lives in football country? We live right between Atlanta and Athens GA so we definitely live in college football country. That means that every week there is a game of some kind to watch. And what better way to watch the big games than with spicy, cheesy, meaty (and a little bit messy) food and a bunch of friends??? The answer is that there’s no better way. We’ve been known to enjoy a healthy super bowl game day dip before. Cheeeeeeesy. We know we can devour our Spicy Cranberry Bacon BBQ Meatballs too. Oh so spiccccccccy. 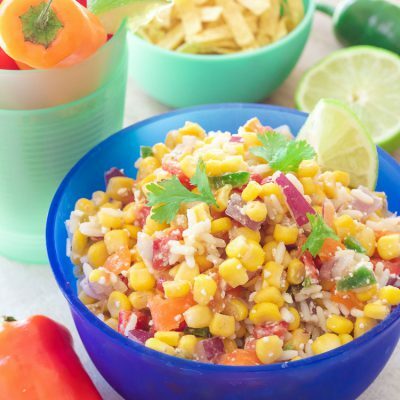 So today I wanted to share Alex’s favorite way to watch football games as of last week, the spicy mexican street corn nachos kind of way. 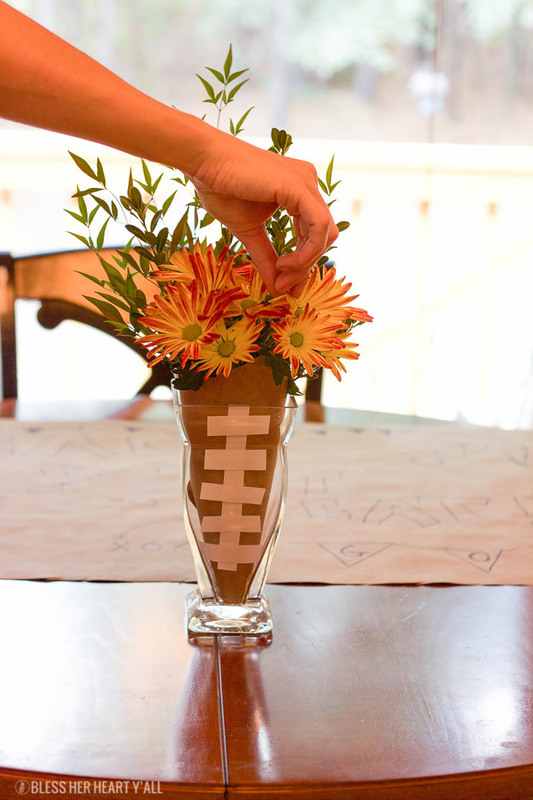 Naturally I was also inspired to dress up the table for friends who might stop by with a little football themed tablescape. I thought I’d share my decor with some easy tutorials too since some of my friends were asking about how I did my table. 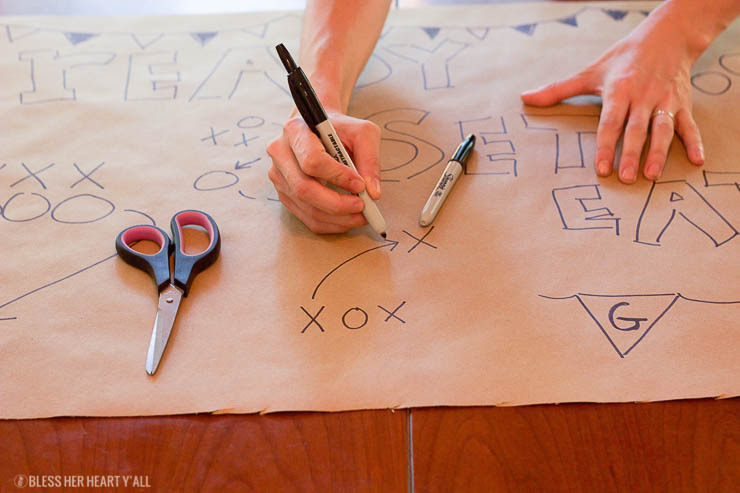 Okay so let’s start with the DIY playbook table runner…. I took a roll of kraft paper that I grabbed from the local craft supply store and cut a piece out the exact size as my yoga mat. Yes, I said yoga mat (about 6′ x 2.5′). Then I went to town with a fat black marker and wrote fake “x” and “o” plays all over the paper. 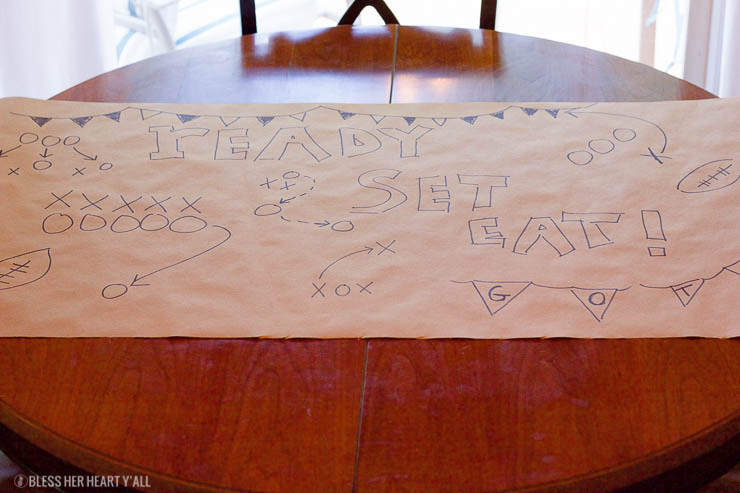 Add in some cute little flags and a little saying or two in quick varsity-style letters and you have yourself a 5-minute football-themed table runner that everyone will be asking about. 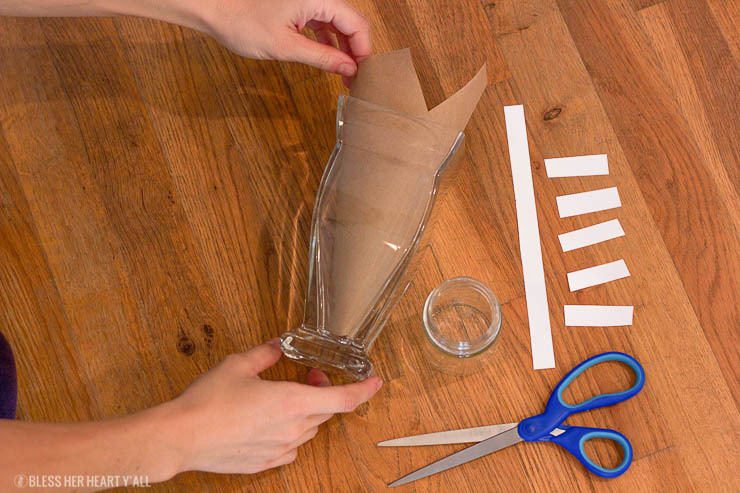 Using the same kraft paper as the table runner, cut a section of paper that is a tall as your vase and long enough to wrap around the inside of the vase one time. You will also need to cut one long piece of white paper (I used a piece of computer paper but a piece of newspaper would be cute and vintage-y too) and 4-5 shorter pieces. I put the scissors in the picture for size reference for the paper pieces. 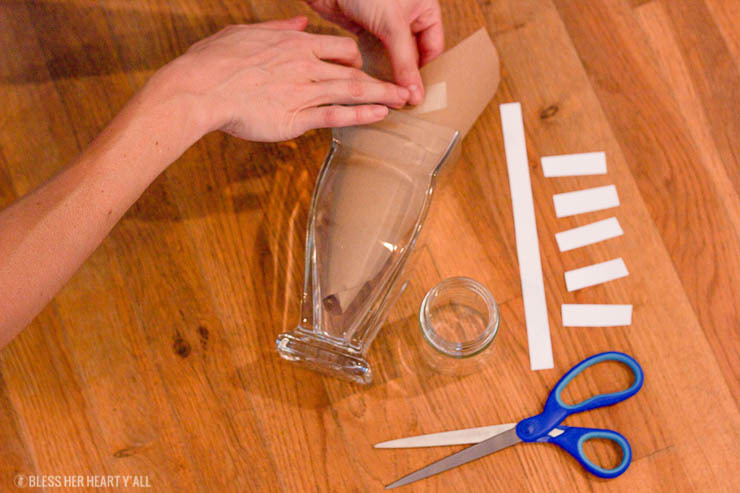 Fit the brown paper into the vase like a cone and tape the paper closed. 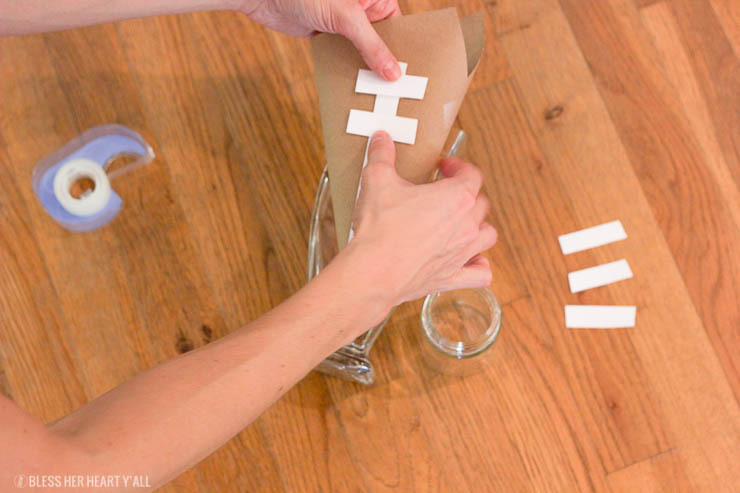 Tape the white pieces to the outside of the brown kraft paper like the stitching on a football. 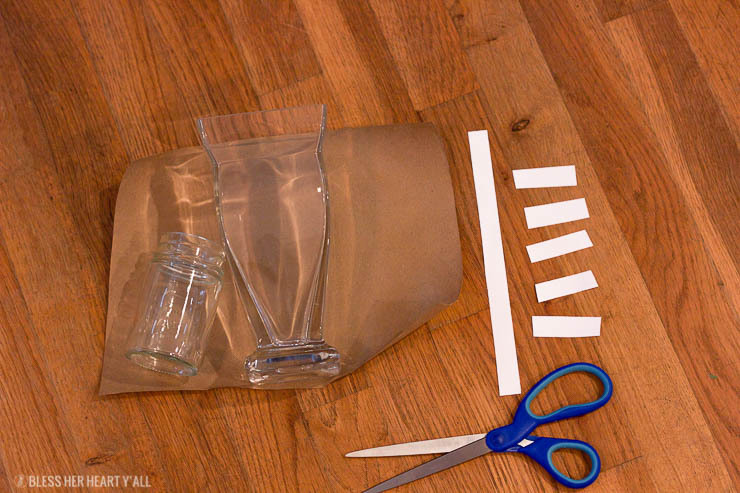 Place a smaller cup into the center of the vase and fill it with water. Place flowers into the smaller water cup that’s inside the vase and you’re done! But then there’s the football stitches on the red solo cups, the ‘party foul‘ banner flags for the napkins and the ‘game fuel‘ banner for the fruit basket. The banner flags are made out of the same kraft paper as everything else, outlined in a black marker, and stuck on with tape. 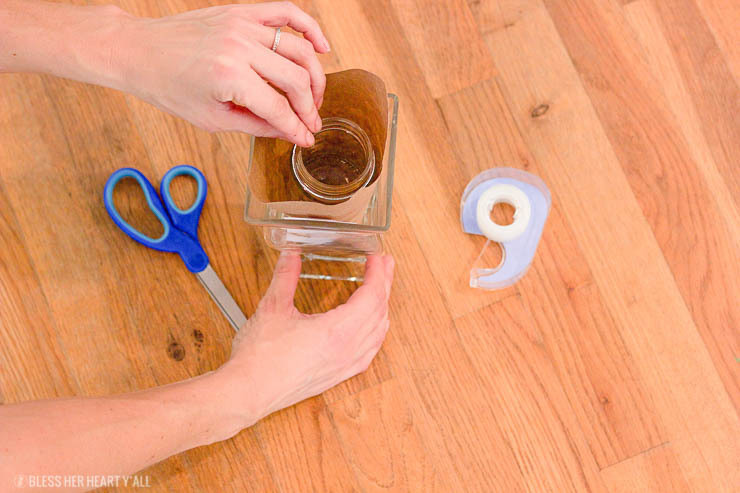 You guessed it… super easy, quick, and inexpensive. Perfect for last-minute football parties. But that shouldn’t be a shocker coming from me. If it ain’t easy, it’s not happening at a party I’m hosting. NOT gonna happen. And then there’s the game day food. 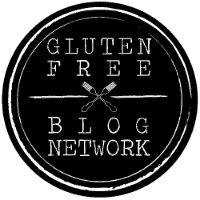 Today’s post is definitely a cheat-day recipe. It hits all the diet no-no’s. It’s incredibly cheesy, it’s spicy and greasy. It’s salty and crunchy. Oh it’s so good to be bad sometimes. You can use store-bought chips but I’d recommend doing what I do and quickly making your own baked ones with some corn tortillas and some coconut oil. Then there’s the monterey jack and greek yogurt cheese sauce that tastes more than amazing. But then there’s also the buttered and browned sweet corn too. Oh yeah… and that spicy hot chorizo…. see where this is going? It’s going straight toward a sprinkling of cotija cheese and cayenne pepper and a big squeeze of fresh lime juice. 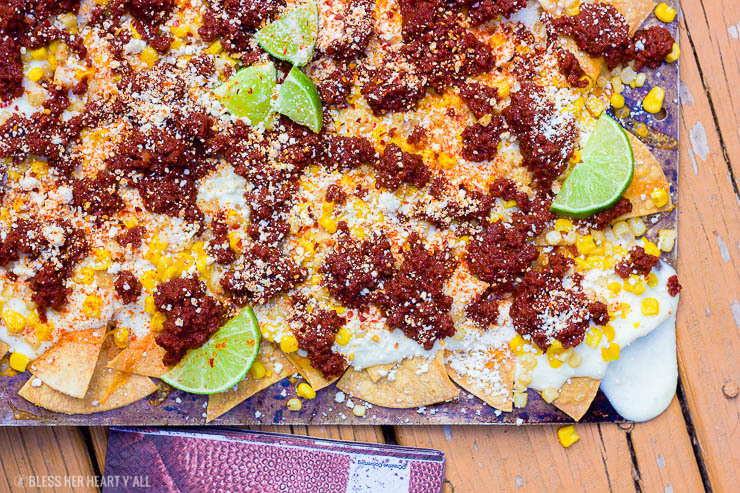 Put your big boy pants on for these spicy mexican street corn nachos with chorizo. 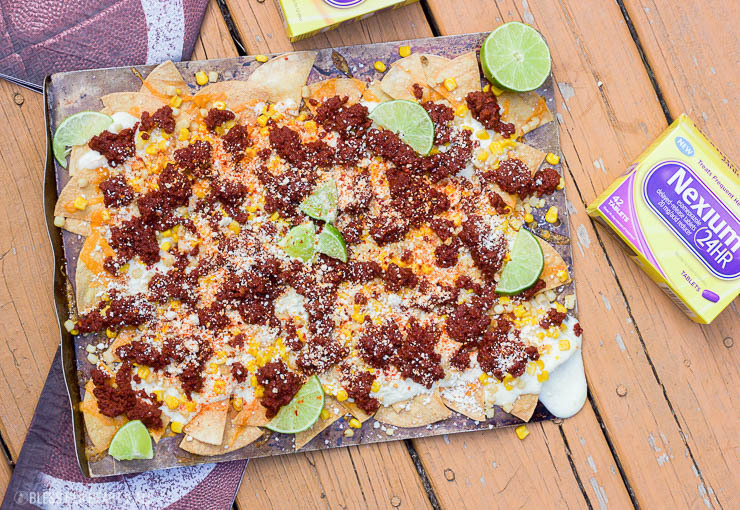 These cheat-day nachos bring out all the cheesy, spicy, lime flavors of mexican street corn with the hearty addition of spicy chorizo meat. 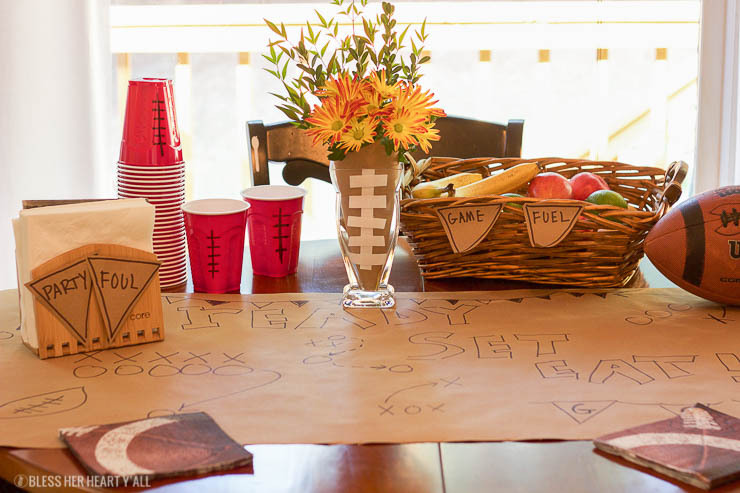 Perfect for rowdy football parties all season long! preheat your oven to 325*F. Place 6 tortillas flat on a baking sheet and brush on coconut oil on both sides of each tortilla with a basting brush. Cut each tortilla into 6 triangles with a knife or pizza cutter, sprinkle with salt, and bake for 20-25 minutes or until golden brown and crispy. Remove from oven and set aside. Bake the ther 6 tortillas this same way (or use two baking sheets and cook both pans of tortillas at the same time). In a medium skillet heat the butter and corn over low-medium heat until the corn starts to brown. While the corn is browning, fully cook the chorizo over medium-high heat in another skillet. Drain out the grease. In a medium sauce pan melt the greek yogurt and monterey jack cheese while stirring continuously. Once the cheese sauce is melted, drizzle the sauce over the cooked chips. Then top the cheese sauce with the browned corn and cooked chorizo. 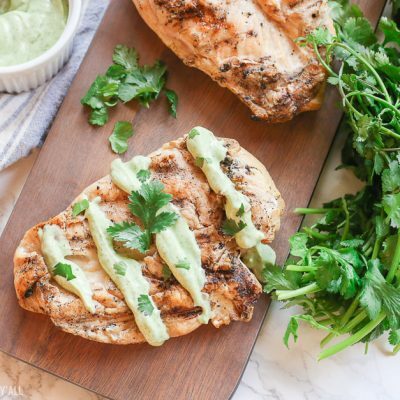 Sprinkle the cotija, cayenne pepper, and fresh lime juice over the top before serving warm. Enjoy! This is one of Alex’s favorites. BUT…. he gets wicked heartburn from this plate of heaven. He said in the past that these are worth the pain but now he can down them without the discomfort. He started taking Nexium® 24HR from Walmart for frequent heartburn. 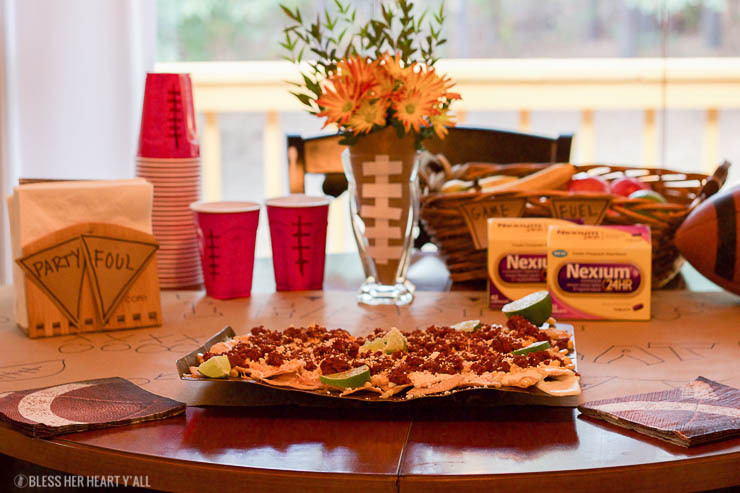 Nexium® 24HR Capsules and Nexium® 24HR Tablets allow him to enjoy every minute and munchie of the game. And it doesn’t just save the game but it keeps working long after that final score. Which also also means that both of us will sleep at night. No uncomfortable tossing and turning. Thank you THANK YOU Hallelujah! Sleep. 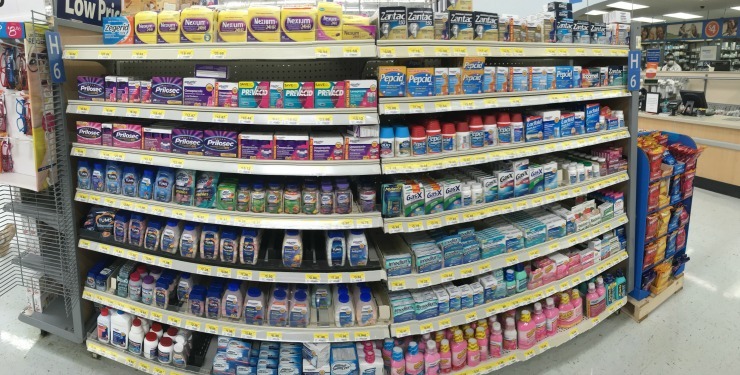 Learn more about Nexium® 24HR found at Walmart and what it can do for you and your family. I wish we had addressed Alex’s heartburn with Nexium® 24HR much sooner! 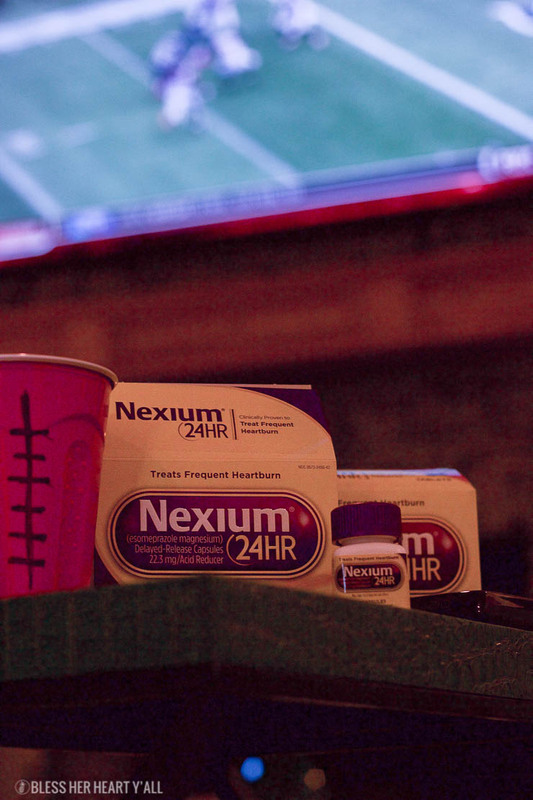 Get all-day, all-night protection from frequent heartburn with Nexium® 24HR*. May take 1 to 4 days for full effect*. Use as directed*. You got me at spicy. We love anything thats spicy and bite sized. Great post. Love love love street corn! This may have to make an appearance at our annual Super Bowl Party! This would be great for Super Bowl parties! 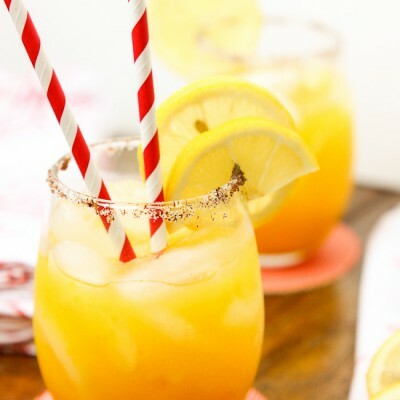 I t is definitely going to be made at our SB party this year! Thank you Tiffany! 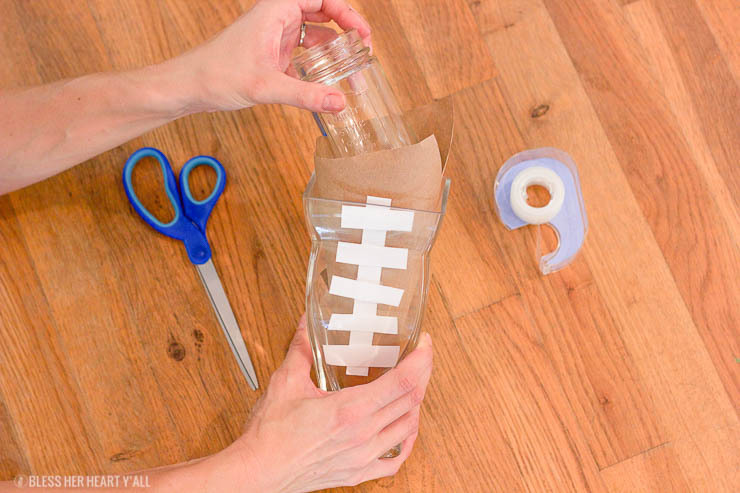 The vase is super easy to make… takes just a few minutes! Great creative ideas! Nothing like a good tex-mex nacho for enjoying with friends on game day. A fun post for sure.